Winter is, as always, dragging on, and I thought it would be fun to bring a little spring into your lives this week. 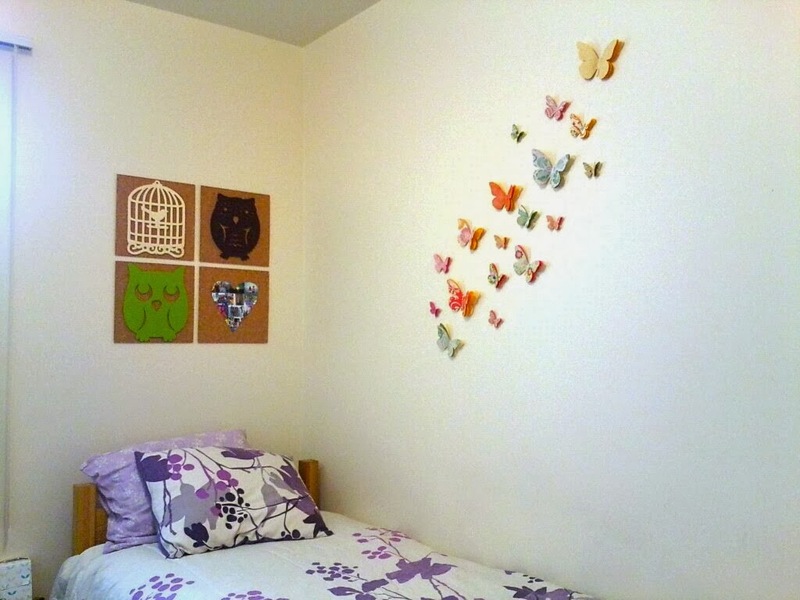 I originally made these 3D butterflies to decorate my college dorm room, but I think they’d look equally cute in a nursery, little girl’s room, or kitchen. They can even be ramped up for an office space or adult bedroom by using solid greys, blues, purples, and metallic silvers. 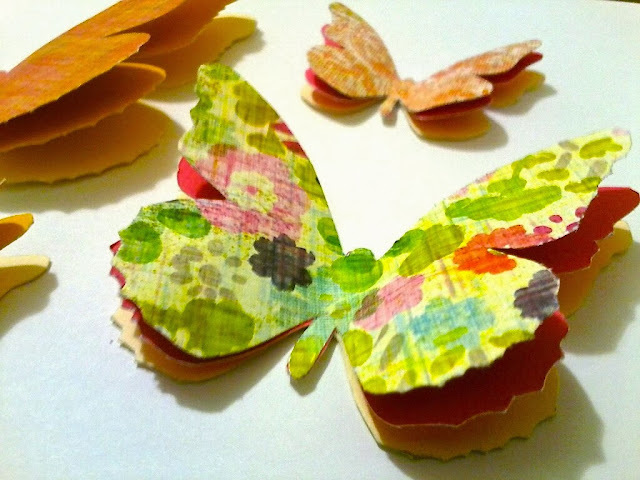 Cardstock – you need one neutral background color, one solid color, and one patterned sheet for each butterfly. I really like the wide variety of patterns available at Michael’s. Teeny-tiny scissors. 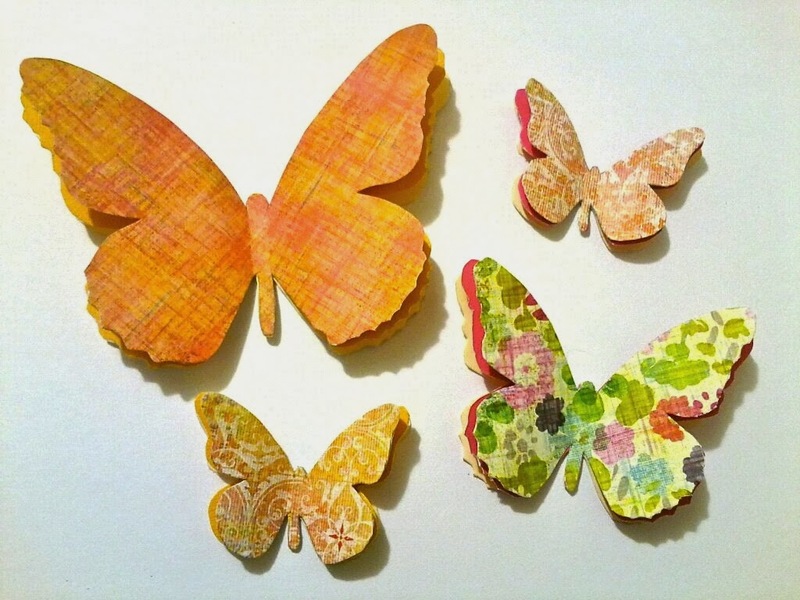 The smaller your butterfly, the smaller the scissors need to be. Patience! These take a lot of time, although they aren’t complicated. You just cant rush through the steps. I found a cute butterfly silhouette online, and traced three different sizes of it onto plain white paper. These will serve as your stencils, so it’s important to be exact. Next, cut out your stencils. I did all of my tracing, and then all of my cutting. For each 3D butterfly, you will need three butterfly cut-outs, one from each of the three types of paper I previously listed. Glue together each set of three at the middle. The plain base color should be on bottom, the brighter solid color should be in the middle, and the pattern or metallic paper should be on the top. 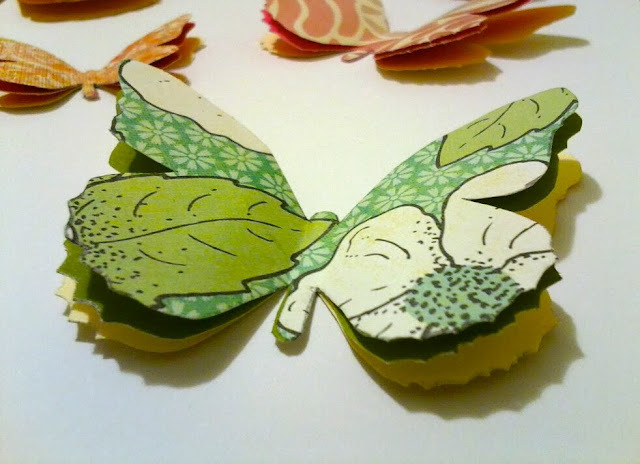 After the glue has dried, you can gently bend the wings so that they don’t lay flat. I just pushed the wings towards each other while holding down the middle section. 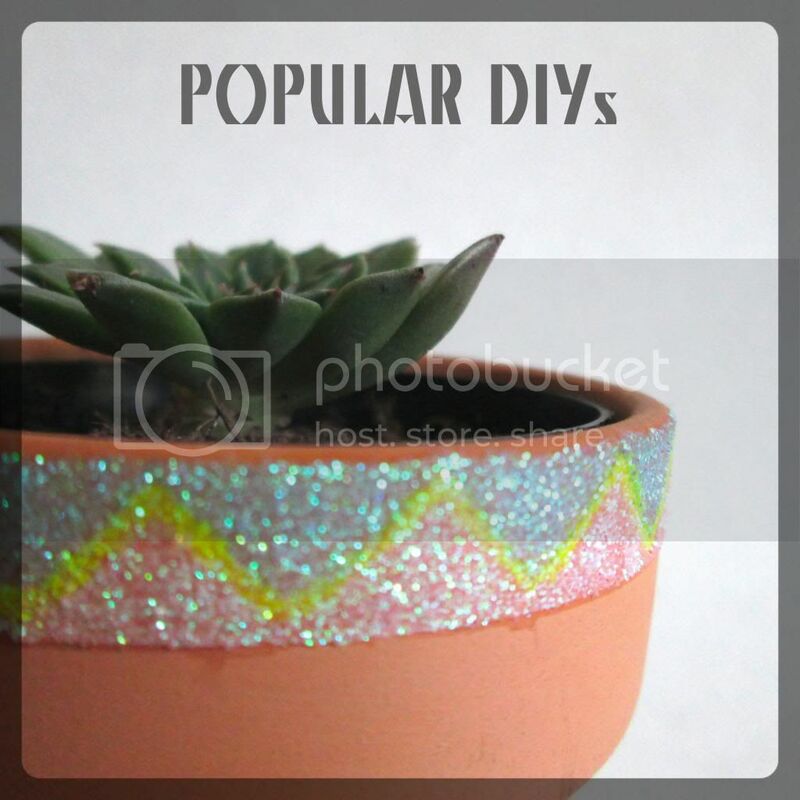 You can also curve them by wrapping them around a pencil or the glue stick. The final step is to attach them to the wall! I’ve found that Command brand wall/poster putty works well, although you may have to experiment with different methods depending on the type of paint on your walls. Keep an eye out for the Abstract Cork Board tutorial coming soon! You can see a sneak peak in the photo below. We were featured on The Silly Pearl! 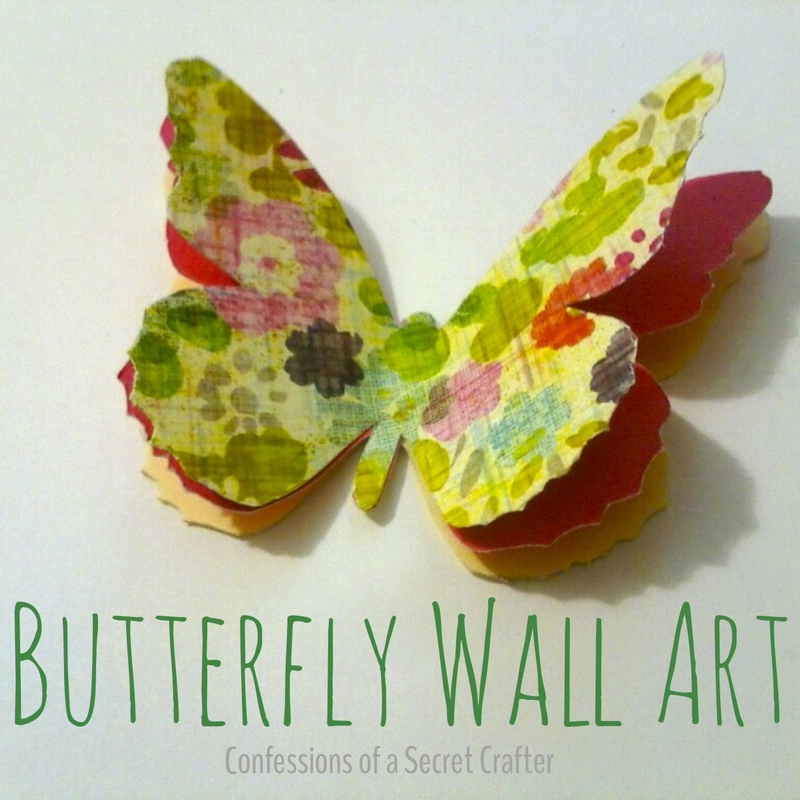 Stop by their blog for a fabulous round-up and party! These are so cute!! Great idea! I love butterflies...these are darling! These are so pretty! I love the papers you selected, too. 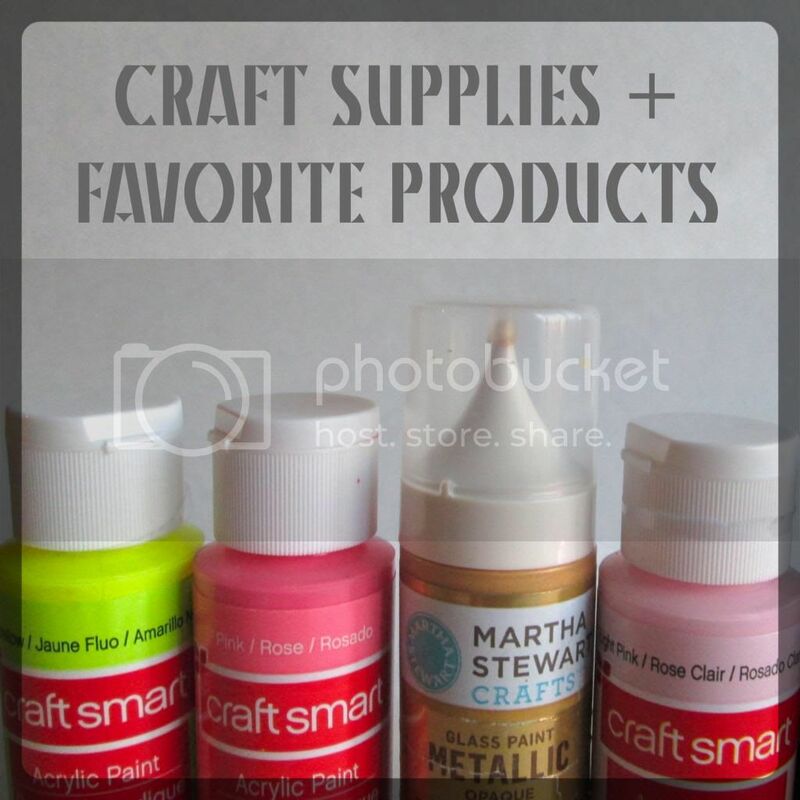 Thanks for linking up at our link it or lump it party! Thanks Amy! I'm so happy you stopped by to check them out! Gorgeous! What a cute idea! Thanks so much for linking up at Thursday STYLE! 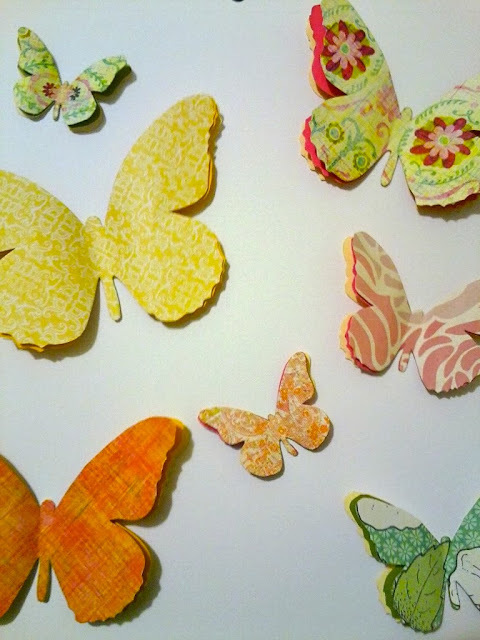 This is a neat idea, I can see these on a mirror with removable tape to brighten the bathroom. Or any mirror. Thanks for sharing!! That's a fabulous idea! I actually hadn't thought to try that yet. Thanks Lorraine, I hope you have a great week as well! Very Cute! Love to do the same.